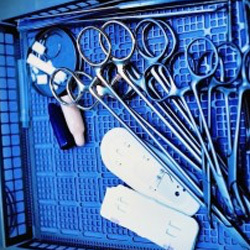 Choosing the best packaging for medical device manufacturers would need for you to consider many factors. You would want to consider safety, leak proofing and durability. Whether you choose hand wraps or flat packaging or pouches, or bags, there are some things you would need to consider when making the selection. The dimensions of the product to be packaged must be considered. You would need to take into account length, breadth and depth. Very thin products such as plasters can be packaged in thin pouches which are easy to carry. For heavier items you might choose bulkier but lightweight packaging. Capacious bags can be used for packing voluminous items. Many packages are lined with a material called Tyvek for added durability and to make the packaging non porous. The coating does not break down under extreme conditions of heat or exposure to radiation, up to a level, and this makes the packages suitable for sterilization methods. 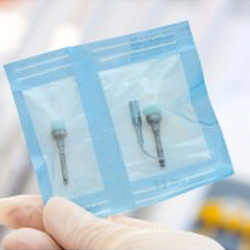 Not all medical packaging incorporates this technology, but they may be more cost effective. Your choice depends on the sterilization requirements, and how durable you expect the packaging to be. The sealing process should be convenient. Heat sealing is a reliable method for creating leak proof pouches and packaging. The sealing strip usually consists of polyester of similar substance for easy, smooth sealing and opening. You would also need to take into account processing with machinery needed, such as with thermoform packaging, where the package has to be molded, filled, and sealed. Some packaging needs to be manually sealed. Sometimes, manufacturers may feel that the existing set of products in the supplier catalog does not perfectly address their needs. They may therefore request customized products. This type of packaging will take into account your special requirements, helping you package even the most innovative or unique products. Manufacturers need to order large quantities of the packaging products, so they must check if the supplier offers bulk items. You should be able to order large quantities of stock for your needs. You would want to check the number of items in each batch to ensure you are getting sufficient quantities of the stock. You would want to consider pricing as a factor when choosing supplies for packaging medical products. You would want to think about things such as bulk discounts, loyalty purchase, and long term purchase to buy the best products. This will enable you to choose high quality products at the right price.